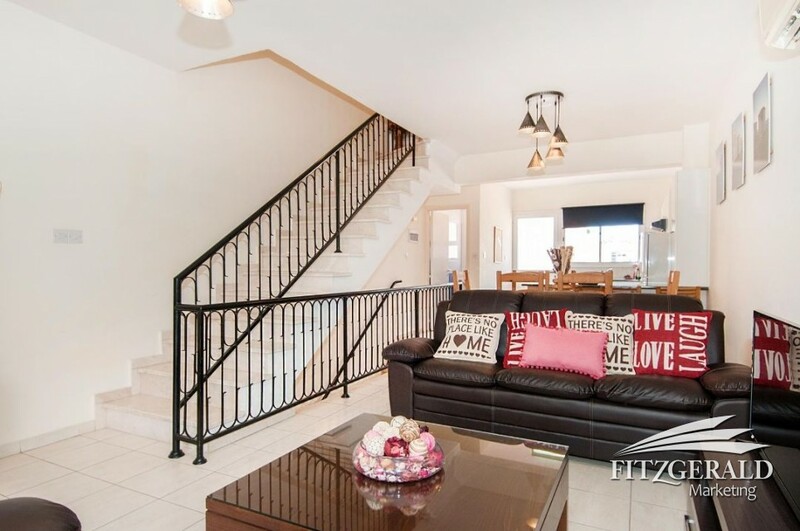 Want to celebrate the purchase of this immaculate and spacious townhouse? On the top of the hill in the much sought after area village of Chloraka -114 sq.m. of living area plus front garden terrace. Clever buy! Chloraka’s closest outpost to Paphos is Melania Hill. Here you have the whole of Paphos in your sights, the hills surrounding the Paphos valley and the majestic views of Mediterranean coastline. It takes little encouragement to imagine entertaining guests as they relax in your bright and airy living room or enjoy al-fresco dining on the garden terrace with the breeze. 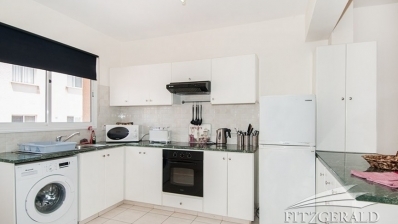 You have the added luxury of a family size kitchen with a useful balcony to the rear. 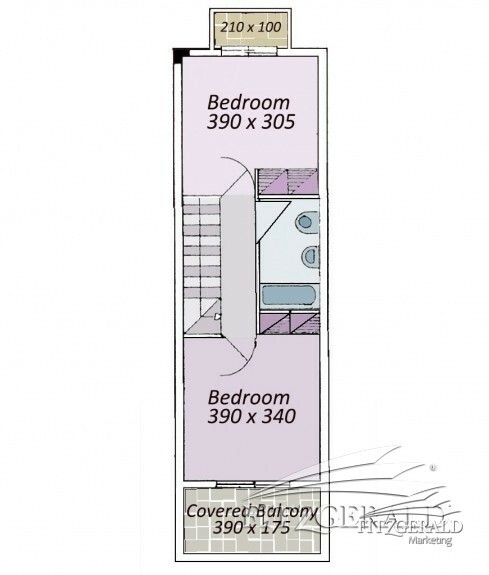 Two double bedrooms are on the first floor both with fitted floor to ceiling wardrobes and private balconies. 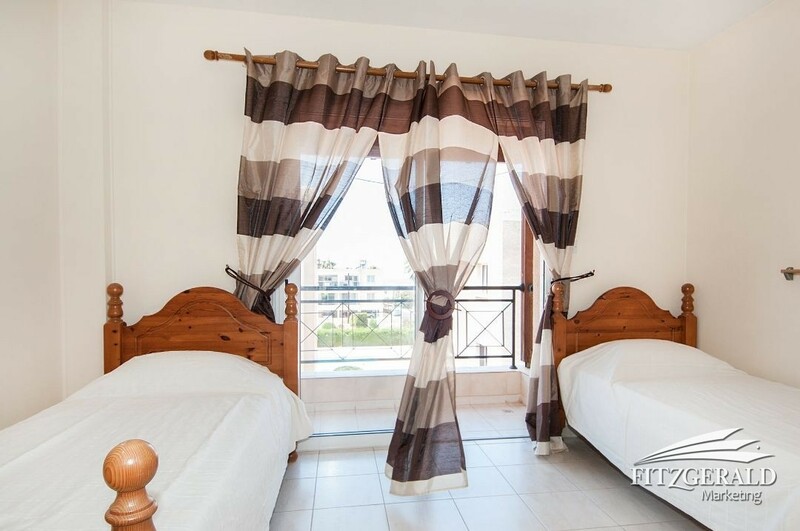 The master bedroom features a very generous covered balcony and the other, faces the interior of the complex with views to the swimming pool and communal gardens. 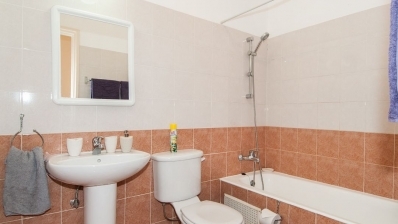 Bedrooms share a generous family bathroom. There is also a Guest WC on the ground floor. It does not end there! 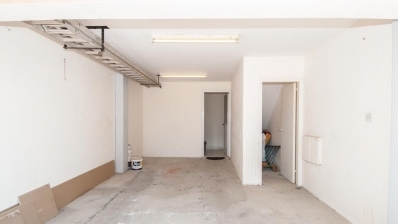 Downstairs and you find a spacious covered garage and large storage space all yours for the taking. 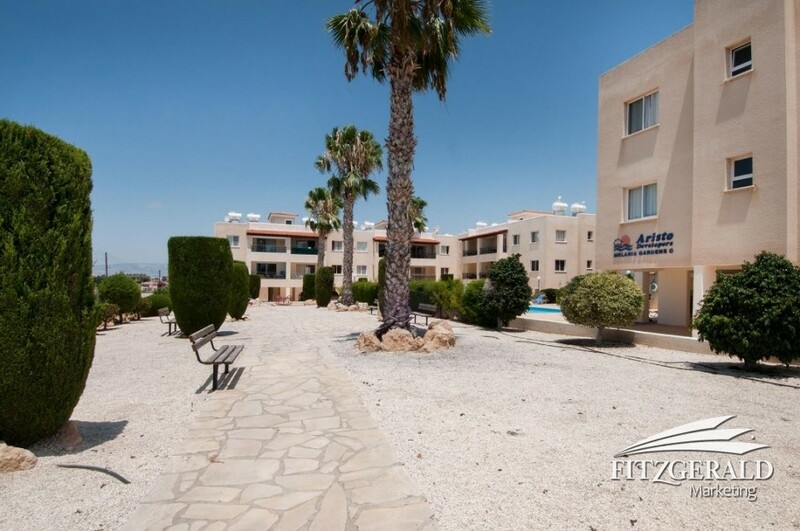 The project enjoys a vast area of communal gardens with communal swimming pool (all amenities provided) and is the focal point for this versatile mixed development of residential and holiday homes. Shops and bus route through Chloraka Village are only 8 minutes walk away. This is certainly a house with major appeal, once you’re here, you won’t want to leave. Scan this QR Code to open this page on your mobile phone in an instant! Just Fill the Form Below! 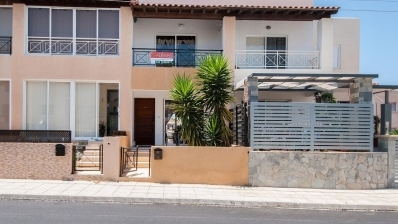 Kissonerga St. Kononas project is situated in a quiet corner of Kissonerga Village within a short walk to boutique restaurants, quality 'local fare' tavernas and the full range of lifestyle amenities. 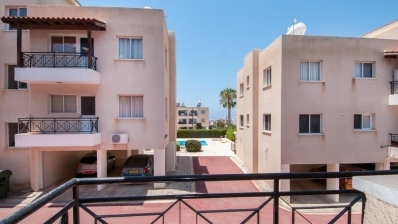 The village is 5km from Paphos it is a favourite destination for those who want close proximity to the sea yet largely unspoilt village very protective of its ancient heritage. Kissonerga claims the 'longest sequence of pre-historic occupation in Cyprus', from 6000 to 2300BC and the reconstructed dwellings of the Neolithic Period just south of the village are particularly fascinating. Entry to your new home is from a wide open-air first floor landing. The large open plan lounge has a superbly comfortable ambiance with a well lived-in feel. Spacious and wonderfully sunny, it opens to a lifestyle balcony and unforgettable panoramic scenery that will charm you on your first visit! 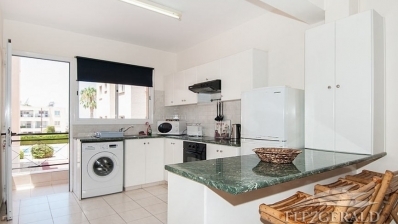 At the back of the living room you have a modern, family-size, kitchen with granite worktops. 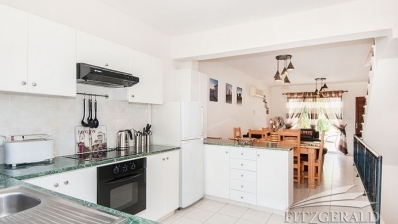 If you like the luxury of a large country kitchen you'll feel right at home here. 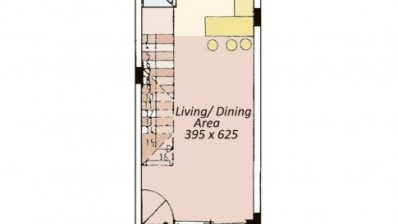 You have two double bedrooms all with built-in wardrobes and A/C. 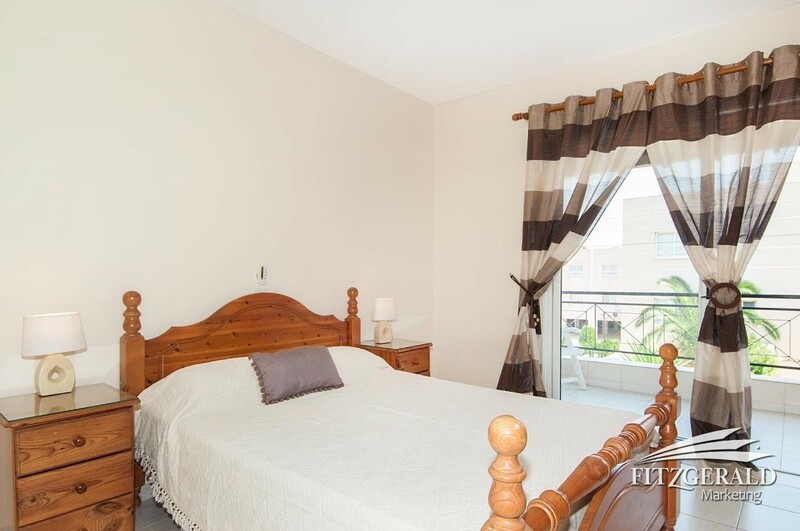 The Master bedroom has en-suite bathroom and opens to the large balcony. 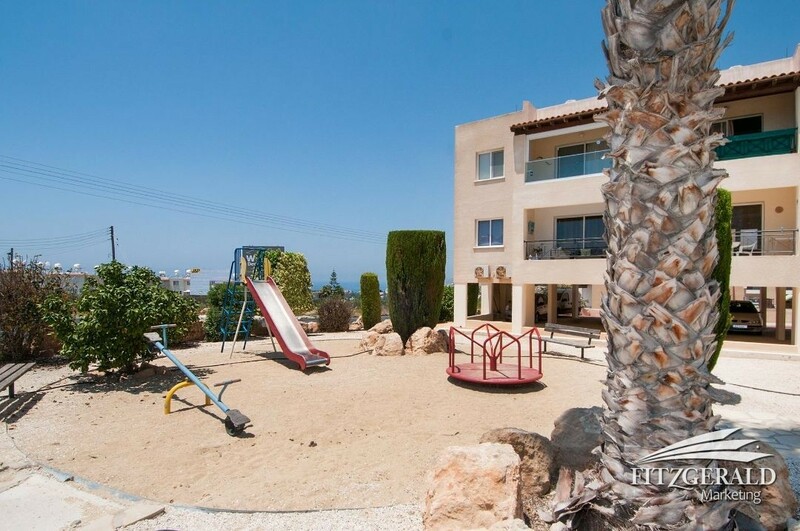 The panoramic scenery to the sea is irresistible too! There are undercover parking on the ground floor. If ever views were important to you then this is a lucky find and definitely has to be on your shortlist. 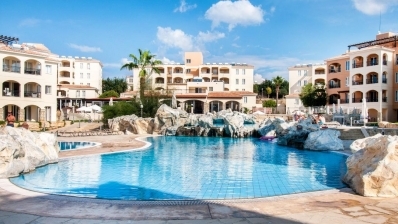 Peyia Valley Resort offers lifestyle escape with countryside panoramic views, elegant and roomy residential units with state of the art communal features. At your leisure you have the use of the communal pool, club house and private sauna. There is also a well equipped gym at your disposal and for a more competitive sport, there is a well maintained squash court! To cool off and enjoy the serenity of the great outdoors of ‘your’ valley resort, there are also two bowling greens to enjoy the leisurely pace of life. Apartments are generally not the ideal entertainment venue for a large group of friends, and as the project was developed to encourage social events as well, there is a custom designed club house where you can entertain all your friends in style! Great for pool parties! 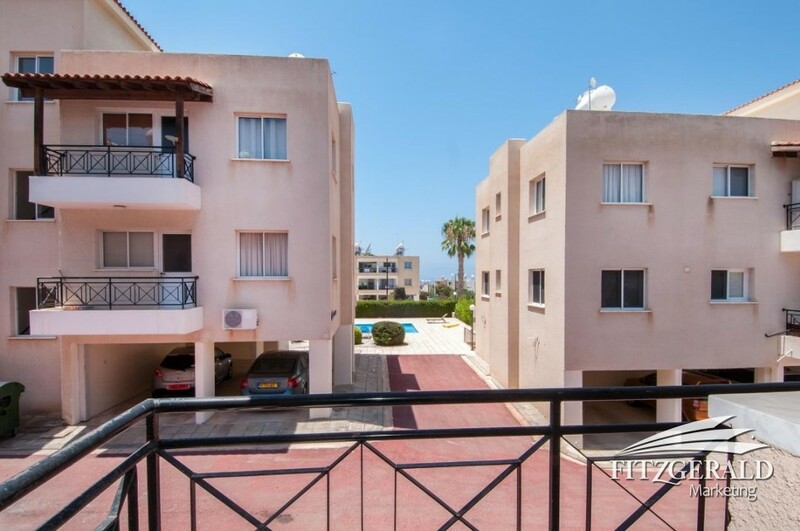 Peyia Valley is a welcoming, mixed, residential development it mostly offers apartment accommodation built in a quadrangle fashion with all units having commanding views to the valley and the vast communal area which nestles against the gentle hilly terrain. Your new apartment is on the first floor and enjoys a corner position with, hallway entry which fans out around the corner to accommodate the kitchen and the living room. 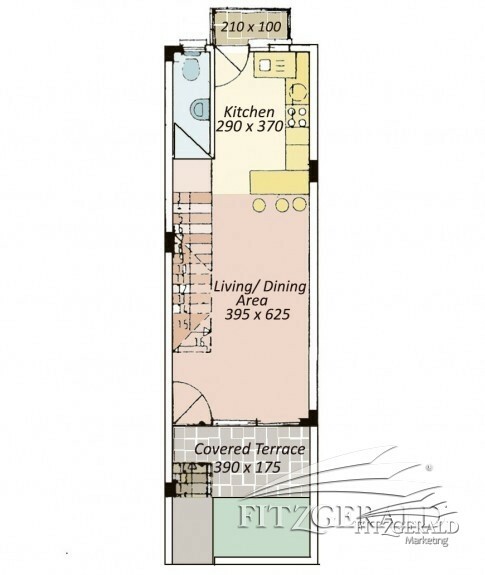 At the far end the living room features wall to wall glass patio doors opening to equally generous covered balcony. A small corridor off the entry hall leads to two super large and appealing bedrooms with high quality floor to ceiling wardrobes and two very spacious and elegantly finished bathrooms. Peyia Valley Resort project is located 800 m from Peyia village centre with an abundance of restaurants, food retailers, banks, medical and professional services. 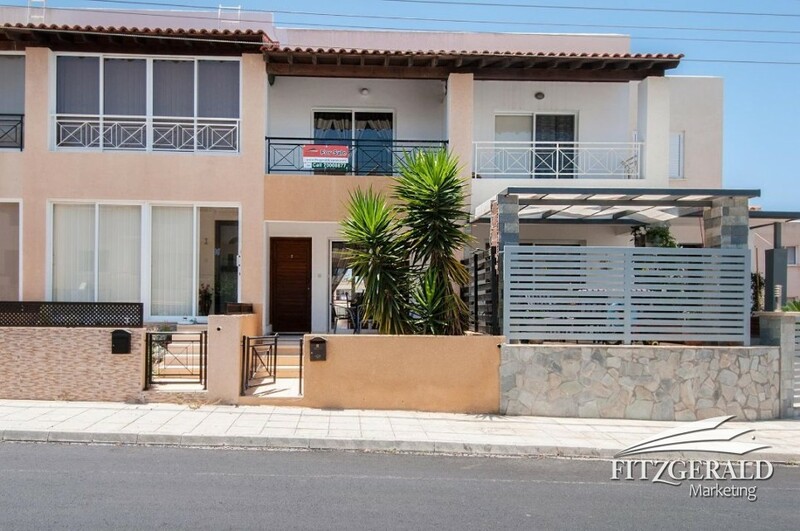 Spectacular project and spectacular purchase, this is poised to become a real asset in your property portfolio. Viewing is a must! 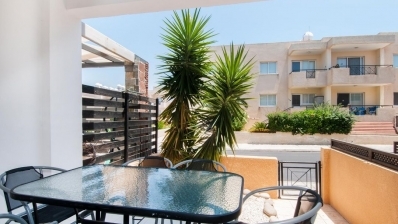 The apartment on offer is a maisonette, a rare offering in Cyprus architecture. 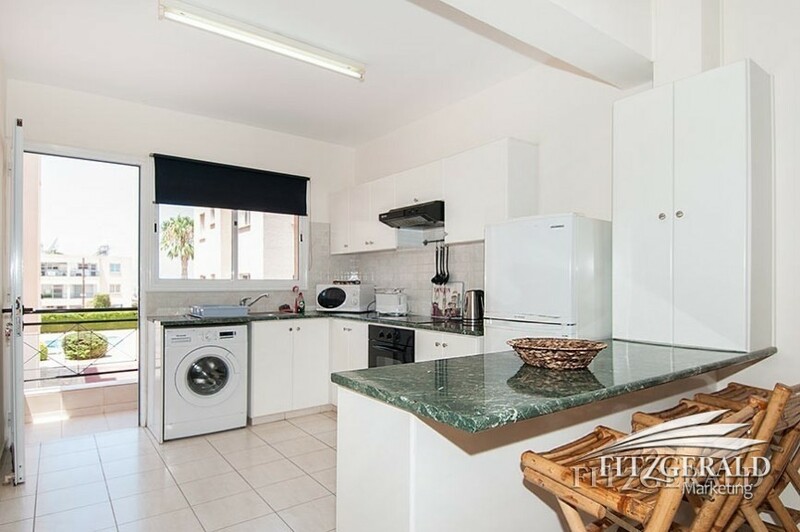 Access to this two-level apartment is via an immaculately maintained communal area. On the first floor, you enter a large entryway with the fully fitted dream kitchen finished with high quality cabinetry and granite tops to your left and living area to the right. Curved stairs lead you to the upper floor bedrooms. Access to the covered balcony is from the sitting room area. 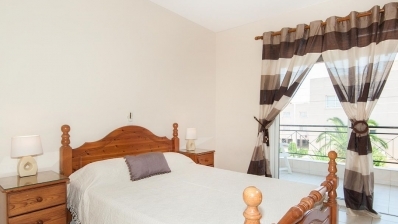 On the second floor there are two double bedrooms, a small landing with built-in wadrobes and family bathroom. The Master bedroom opens to the covered balcony. The resort facilities include St. Nicolas's spa offering a range of treatments and massage. There is also a hot tub, sauna, fitness centre and tennis court. The complex also includes a restaurant and bar with pool views. A children's playground is provided for younger guests. The location of the Resort on the edge of Chloraka Village ensures that everything is on your doorstep and the beach is just a short car ride away. Looking for lots of house for your money? Look no further. Ground floor and south end of the building all to yourself. Quiet and private with roomy interior and 2 courtyards. 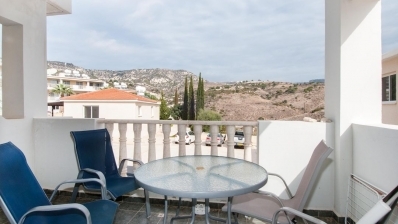 Walking distance to Peyia village. 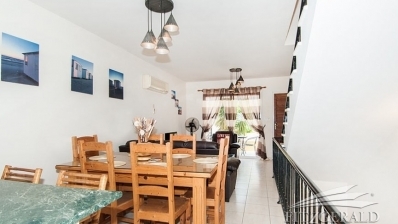 Loads of value for your money on the edge of Peyia village. 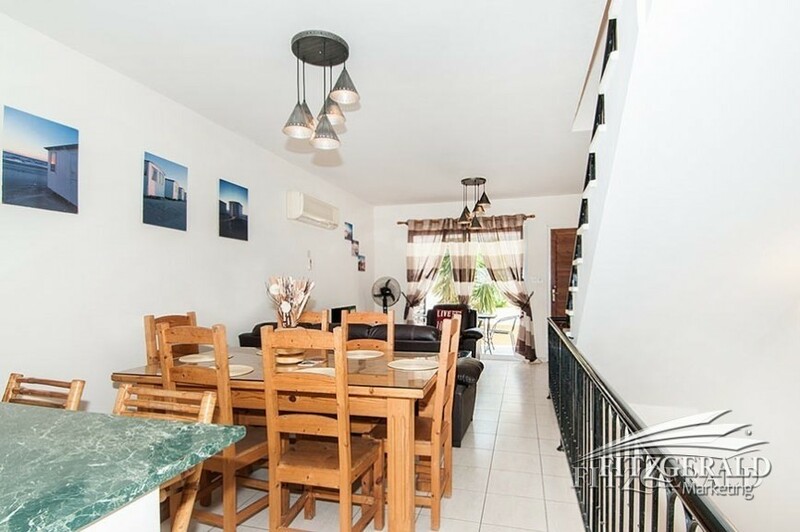 Impressive 2 bedroom apartment that allows you to spread out, allows you to ‘escape’ and allows you to entertain a group of friends with ease and style. 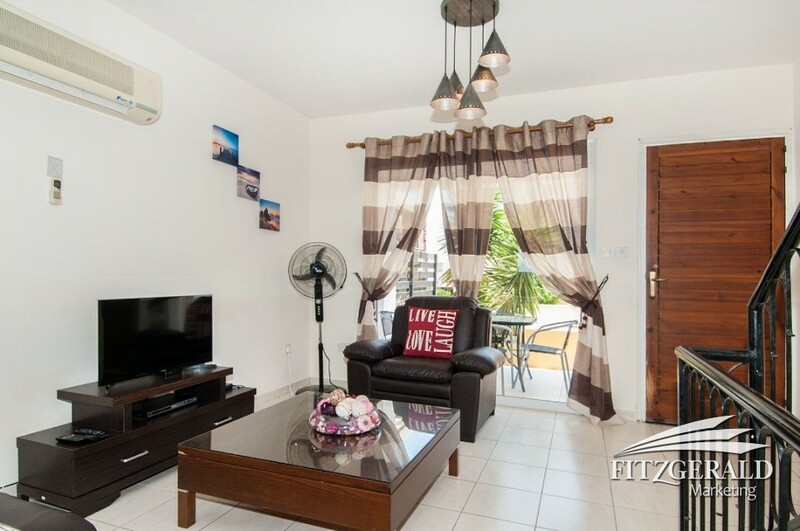 The living room and master bedroom open to an expansive front garden, totally screened from outside view and has a gate to your allocated parking spot. Voluminous shrubs line the edges of the large rear and side garden terrace which curves along the apartment giving you a very generous garden to relax and entertain in. 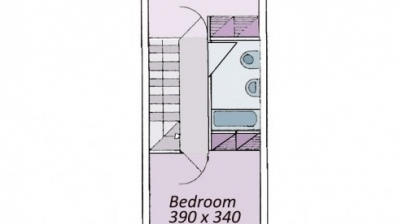 You have two double bedrooms both with built-in wardrobes and A/Cs. 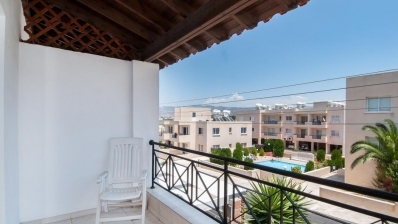 Both bedrooms open to terraces. Beautifully landscaped, well established and irrigated, the garden is a an idyllic hideaway, a dream come true in apartment living! The whole outdoor area is also child proof, a fantastic bonus when you have friends with active toddlers. 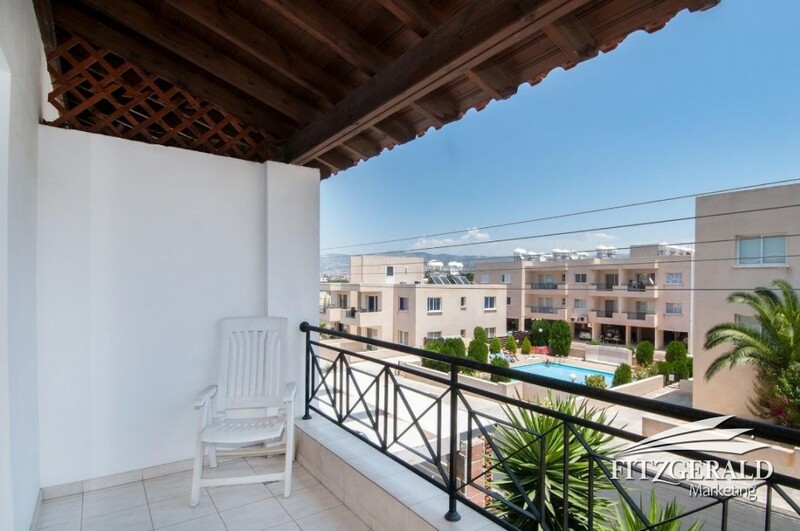 Whether you are looking for a holiday hide-away or looking at securing an investment property, either way this is a massively appealing apartment with a fantastic sense of ‘space’ and lifestyle appeal. Planning a place in the sun? Somewhere where sunny weather is made to order, sea inviting, people are friendly and good traditional food is absolutely delicious and very good value? Set your compass Paphos way because you are heading to Tala Village, a dynamic and charming village steeped in history and tradition. 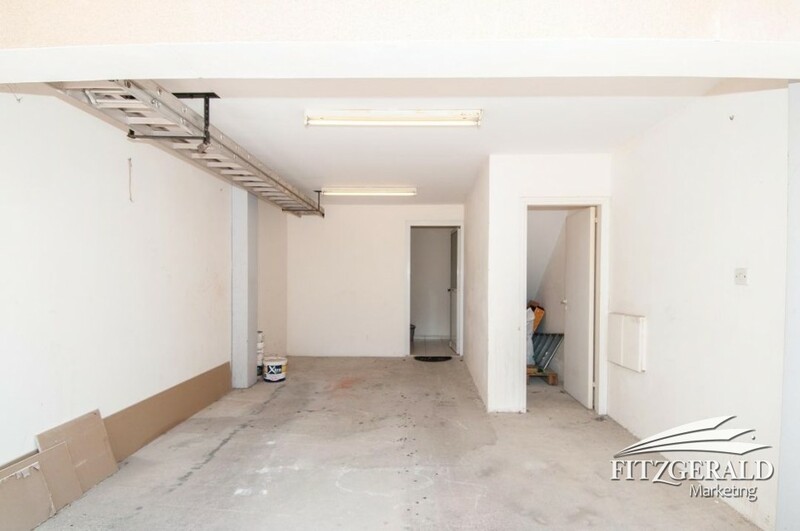 Within a short distance of the village square you will come to a small project of townhouses with a communal swimming pool and ever so inviting sundeck area. Built on three levels your home is arranged to provide maximum outdoor leisure on the lower level, the ground floor accommodates expansive living areas, with all the bedrooms on the top floor. 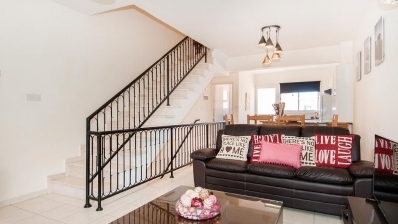 The entry is from the front garden, off a quiet side street, and opens to the hall with well-designed spacious kitchen fully equipped with electrical appliances on the right. Upstairs, two super spacious bedrooms have A/C units and built-in wardrobes. 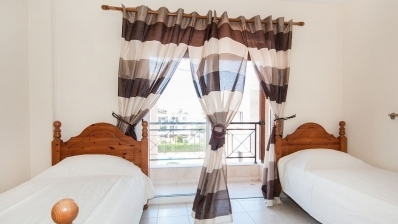 Each bedroom has a very attractive private balcony and you can choose whether you prefer the sea views with communal pool area or village views. The beautifully detailed balconies …a positively perfect setting to unwind! This inspiring home with a clear focus on family space, function and entertaining could be yours. It’s been extremely well maintained and cared for. 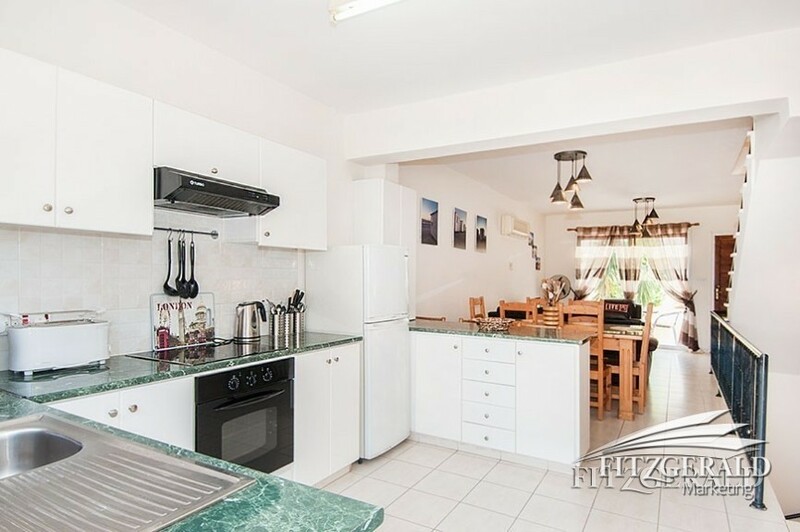 Rarely will you find a terraced home with such an abundance of space and so much potential. 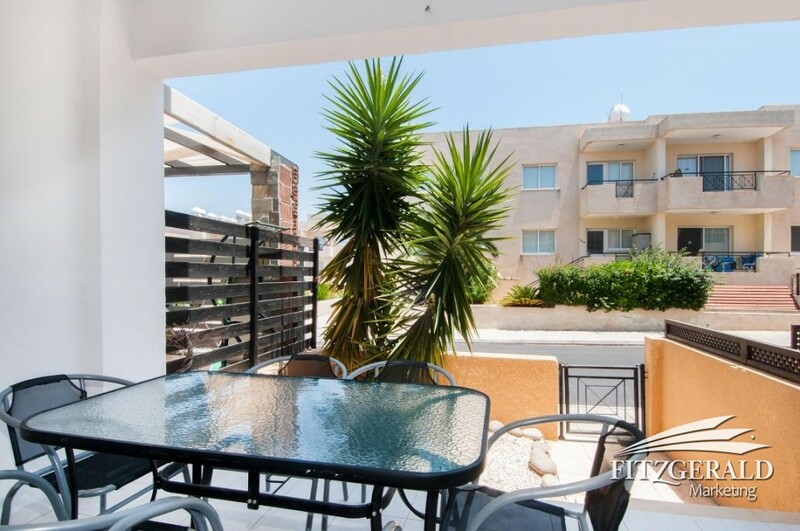 Here is your chance to make this sunny Paphos apartment your perfect holiday hideaway. 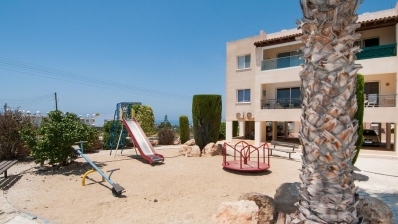 The ground floor apartment is part of an exclusive resort development with a warm Mediterranean feel. It is a well maintained complex featuring a lovely communal pool and poolside terraces. 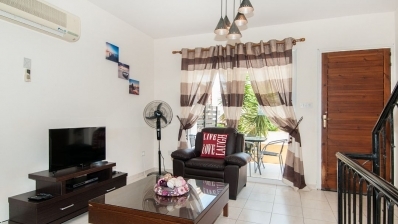 Bright sunny interior whether you live here or are lucky enough to come here on holiday you’ll find your experience satisfying and the prestigious communal pool and recreation areas are sure to impress. 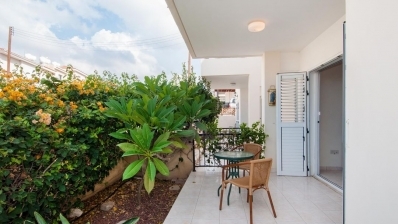 The apartment enjoys a unique ground floor position with ample outdoor space for your private enjoyment and relaxation. 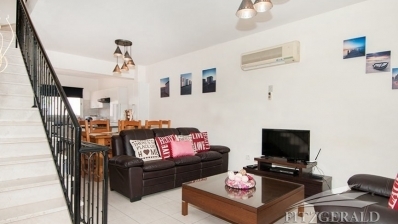 You enter into a spacious open plan and beautifully detailed living area showcasing your attractive garden courtyard. The garden terrace connects to the communal pool area. 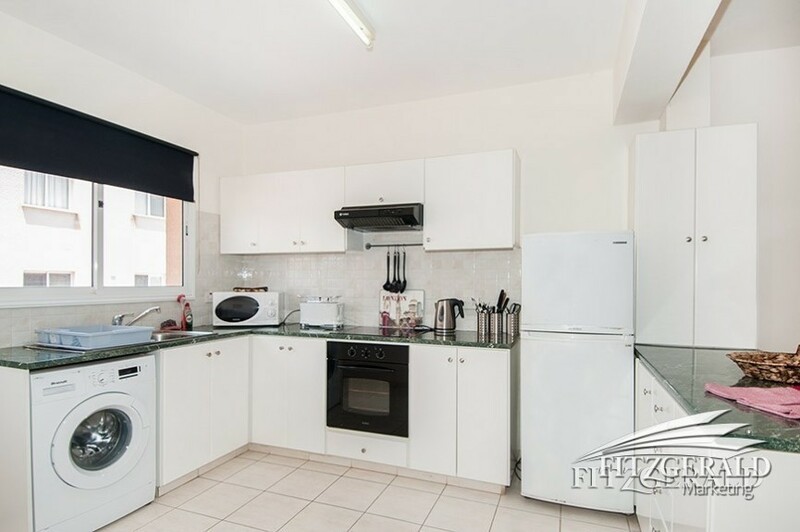 You have a well designed, fully equipped stylishly appointed kitchen. 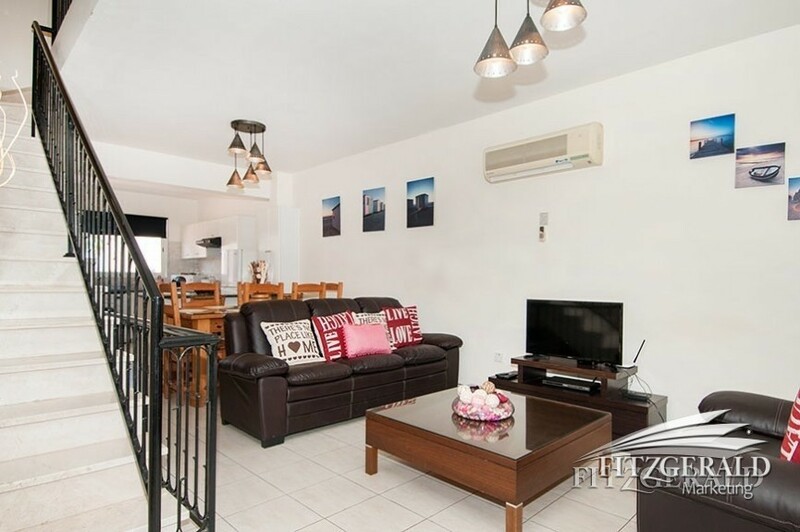 Through an archway from the living area you access two bright double bedrooms and a family bathroom. Both bedrooms feature expansive built-in wardrobes and master bedroom features en-suite shower room. Riviera project is 1.5 km for the sea and a short walk to shops and restaurant. The apartment is fully furnished and equipped. Just bring you suitcase and make this your perfect holiday get away!